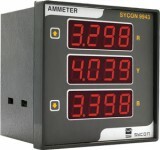 Getting Information At A Single Place Is More Convenient. 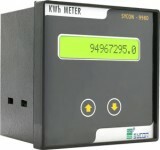 In Industrial Panels, Placing Three Voltmeters And Ammeter And A Frequency Meter Is More Space Consuming. 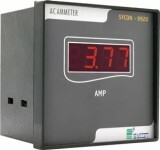 Instead Of Using Three Voltmeters, Ammeter And A Frequency Meter Separately, We Can Use All These Seven Meters In A Single Meter. 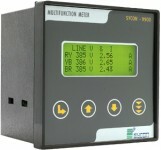 This Reduces More Space On Panel Door. 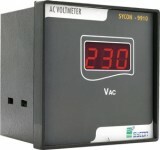 VIF Meter 9990 Is Made For The Same. 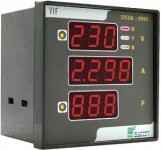 VIF Meter 9990 Is Capable Of Measuring Six Voltages, Three Currents And A Frequency In A Single Unit. VIF Meter Continuously Senses Three Input Phase Voltages With Neutral And Phase Currents And Displays. 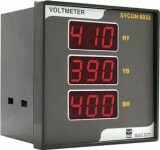 Combined Display Voltage, Current And Frequency. 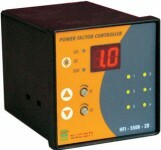 9933 Is Capable Monitoring Three Phase To Phase Voltages At A Single Time. Premium Quality Frequency Meter Manufacturer In Ahmedabad Gujarat Which Are Capable To Monitoring Frequency.